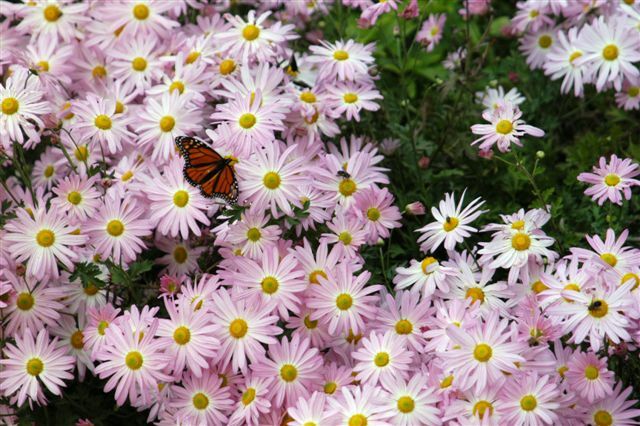 HABIT: Fall-blooming perennials, lots of colors and combinations. Attractive foliage that looks good most of the year. Some bloom in spring and fall. Native to Europe, Asia, and South Africa. CULTURE: Loose soil, good drainage, ample water, and regular fertilization. For best blooms, pinch new growth out until August 1. 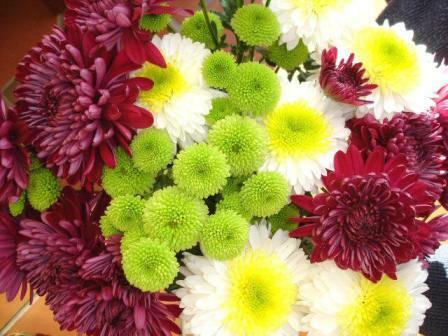 Stop fertilization when the buds show color. Avoid light at night, for it retards blooms. USES: Perennial gardens, border, pots, cutting gardens. See Edible Flowers. 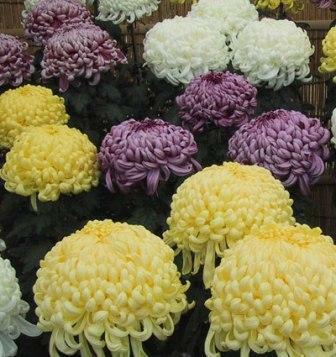 NOTES: There are 13 different categories established by National Chrysanthemum Society: Spoon, Reflexing Incurve, Semi double, Decorative, Anemone, Spider, Single, Reflex, Pompom, Thistle, Laciniate, and Quile. They are all beautiful.